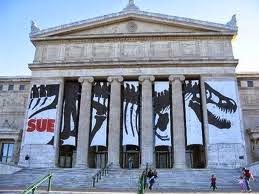 If you are in the Chicago area or plan to be before November 30th, you have to take advantage of this one day only Groupon for the Field Museum. Admissions expire Nov 30th, 2014. Limit 5 per person. This Groupon is good for a Discovery Pass which grants you access to all of the Museum's permanent exhibitions and your choice of one special exhibition. Kids under 3 are FREE!